According to licence holder Ion Tiriac, the ATP 250 tournament in Bucharest will be shifted to the Hungarian capital of Budapest. Romanian billionaire and former tennis professional Ion Tiriac announced, that the BRD Nastase Tiriac Trophy in Bucharest will be shifted to Budapest in 2017. The capital of Romania has hosted the ATP event for the past 20 years. “I have made every effort to help the tournament to survive but the time has come to give up,” Tiriac informed Romanian media. It was not the first time when Tiriac announced this plan. In March, the 77-year-old told that he would give up the license for the Burcharest tournament, if the local authorities did not build a new tennis arena. 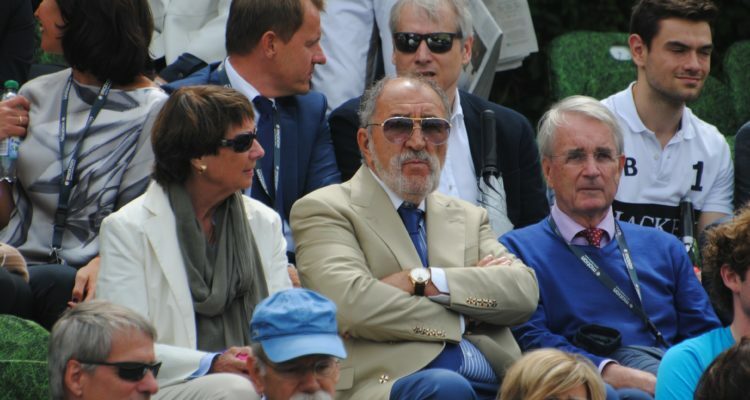 The BRD Nastase Tiriac Trophy, an ATP World Tour 250 tournament, was organized at the BNR Arenas in Bucharest so far, but the improper infrastructure made the billionaire take this decision. Due to fire authoritiy regulations, this year’s edition was held on two outside courts. If the ATP confirms the tournament’s movement, Fernando Verdasco will be the last champion in Bucharest for the moment. David Ferrer (2002), Gilles Simon (2007, 2008, 2012) and Grigor Dimitrov (2014) also lifted the trophy here. 2016 Halle champion Florian Mayer (2011) clinched his first title on the ATP World Tour in Bucharest. This entry was posted in ATP Tour, ATP Tour News and tagged ATP World Tour, BRD Nastase Tiriac Trophy, Bucharest, Budapest, Ion Tiriac.